Colonel J.T. 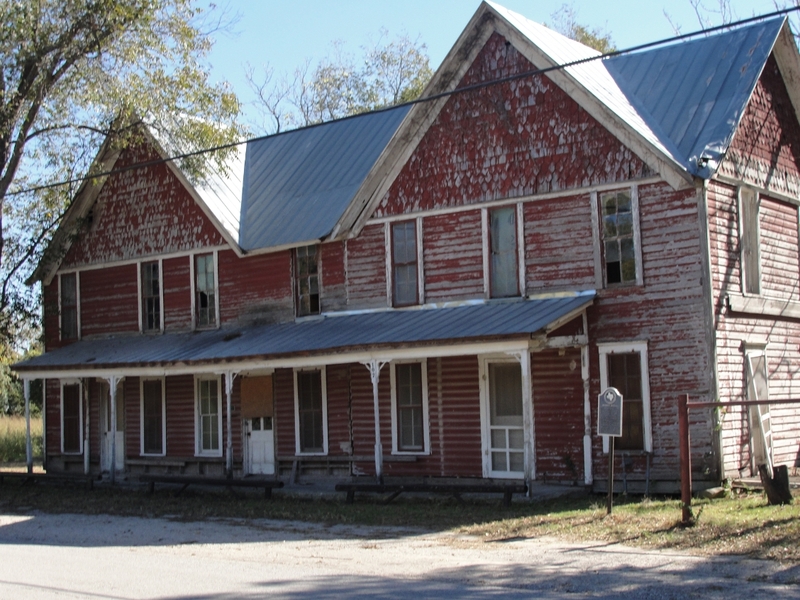 Brown founded the town of Chico in 1876; then built this hotel 1888. 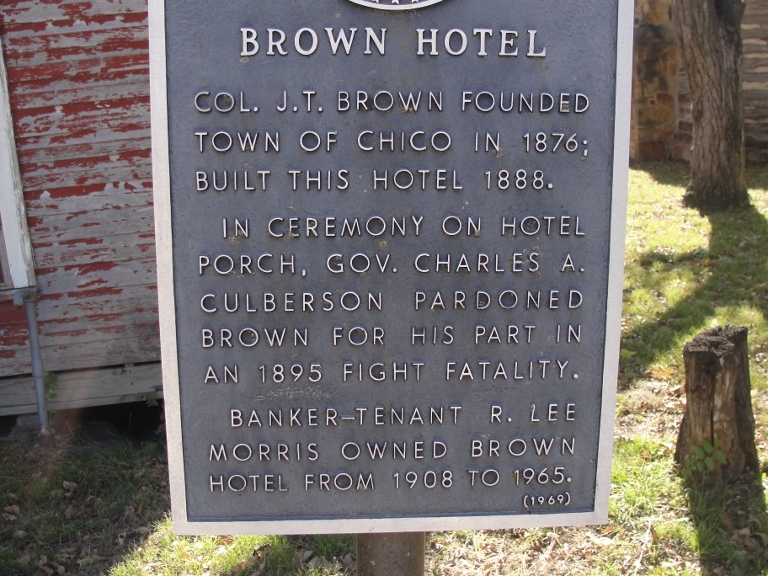 In a ceremony on the hotel porch, Governor Charles A. Culberson pardoned Brown for his part in an 1895 fight fatality. Banker-tenant R. Lee Morris owned Brown Hotel from 1908 to 1965.